John Brown was captured by Lieutenant Murray and his party in March or April 1685. He was promised quarter, but was shot on the spot and buried there. 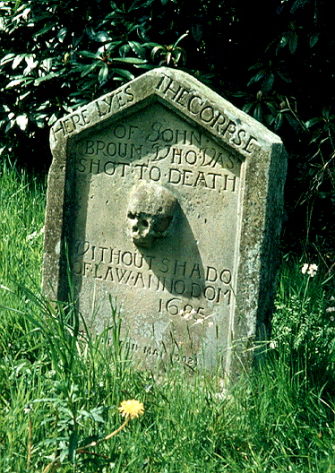 The gravestone is located within the grounds of Dovecote House within Blackwood Estate.